Last week Science Friday posted a video of an Imperial Woodpecker. You can watch the video and listen to the interview with SF video editor Flora Lichtman here. I plan on volunteering at the Field Museum on Thursday and hope to look up and photograph one of their specimens there, in the meantime I found this image on Wikipedia. 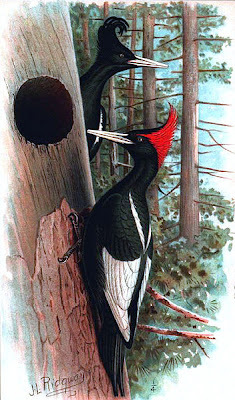 Imperials (native to Mexico) are closely related to our Ivory-billed woodpeckers, which is also most likely extinct. Ivory-billed are large, but the Imperials are massive. They would average 2 feet from head to tail. Anyway, check out the video on SF. It's truly amazing, but a little sad. As ornithologist and writer Tim Gallagher said, it's like seeing a ghost. I believe I might have spotted one of these when I was in Belize this past April. Massive bird. At first I thought it was a Pileated but it was without a stripe over the eye. I'll have to see if I can find some photos. Totally amazing! Can you imagine seeing one of these? I don't think I can imagine. Even looking at that footage, it's hard to get a sense of just how large they are (were?). I'll post photos of Field Museum specimens later this week. @Unknown - that would be pretty amazing if you had seen one, but at this point if there are any left at all in the wild, it's probably a handful. 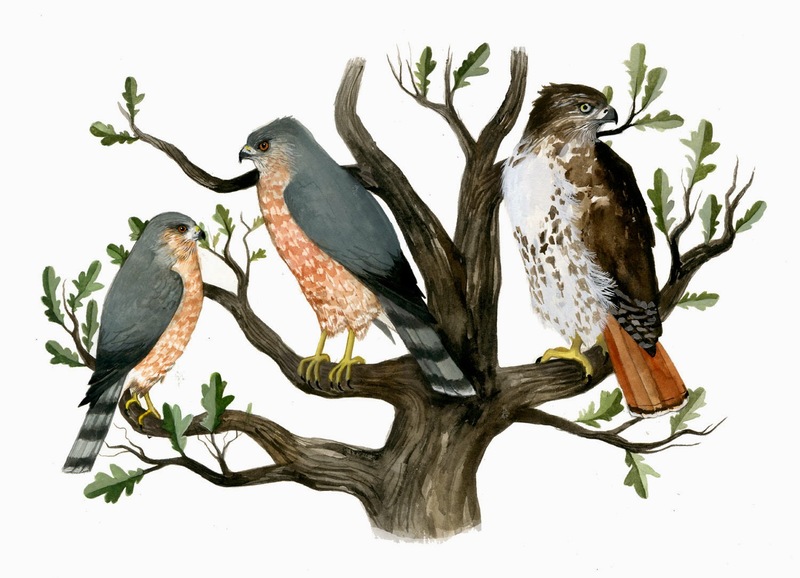 Their preferred habitat was that of old growth pine in Mexican montane forests. Perhaps what you saw was a Pale-billed Woodpecker? It's in the same genus as Imperial, but has a wider range: Mexico to Panama. That is amazing, thanks for the video link. What a spectacular bird. I stood watching our Great spotted woodpecker at the top of a tree this morning, it was very noisy, annoyed at a squirrel possibly? I do hope there are some still out there? Yep 2 ft - a very large bird. When I post a specimen photo later this week, I'll include a couple other species as point of ref. for size. @ Julie - unfortunately, as touched on the vid (I think) even if a few have survived, it's not enough to sustain a breeding population. But who knows? Sad indeed! What incredible birds. Thank you so much for sharing the video. I'm glad to know about these guys...I hope they can survive.